Camp sites include water and electric. 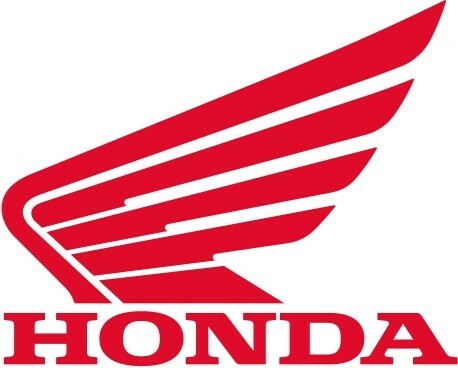 Please note that you will need current AMA/OMA memberships for ALL events this race weekend. Both can be purchased at the track if you have not done it online already. Must have proof of purchase/renewal if done online prior to race event. Thank you! 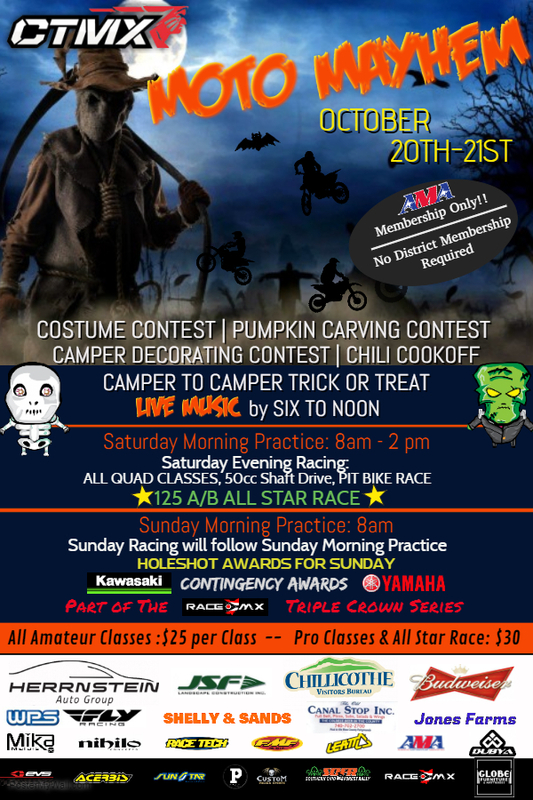 Rocky Mountain ATV is proud to partner with the OMA for its 2016 racing season. 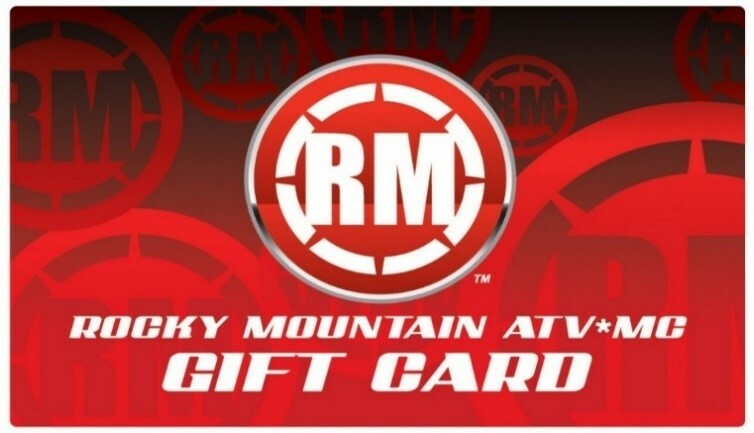 For simply joining the OMA, you will receive a $10 gift card from Rocky Mountain ATV/MC. You will also get one for each race date when you enter at least 1 class. 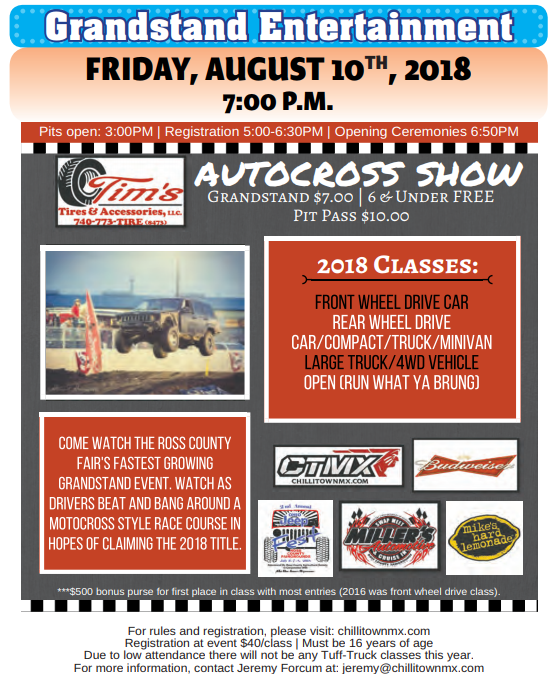 Its only one $10 gift card per race date, not per class. However, your OMA membership will be paid for in 1 race! 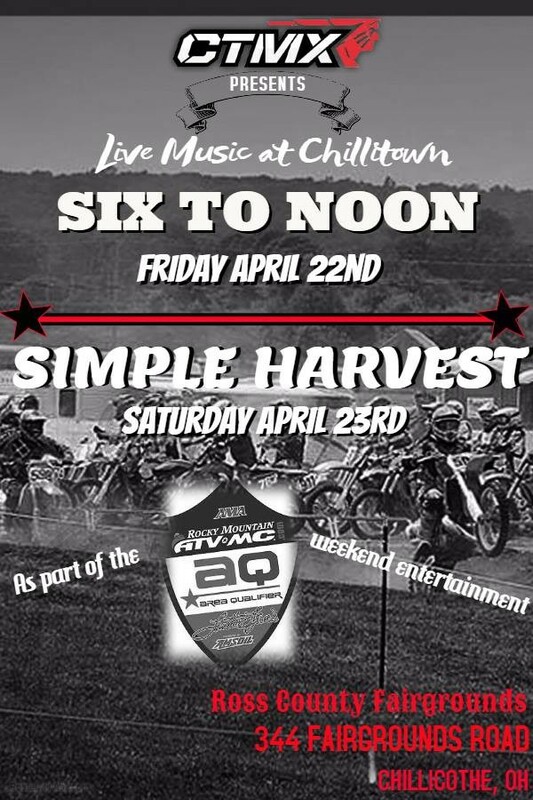 And you will continue to receive these $10 gift cards from Rocky Mountain ATV/MC for every OMA race that you enter. Please remember that these photos are copyright of the photographers, not CTMX , so if you want to order prints you will need to do so from the photographer directly. What are you waiting on? 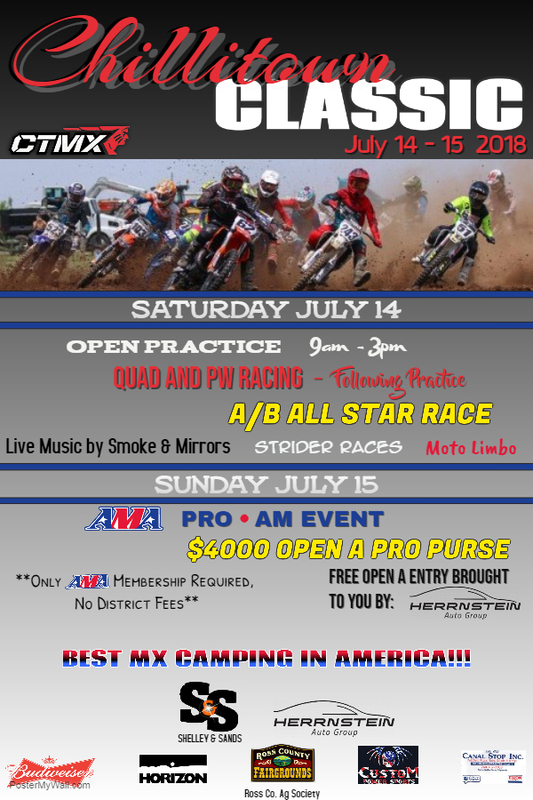 You can pre-register right now for your weekend at CTMX!!! 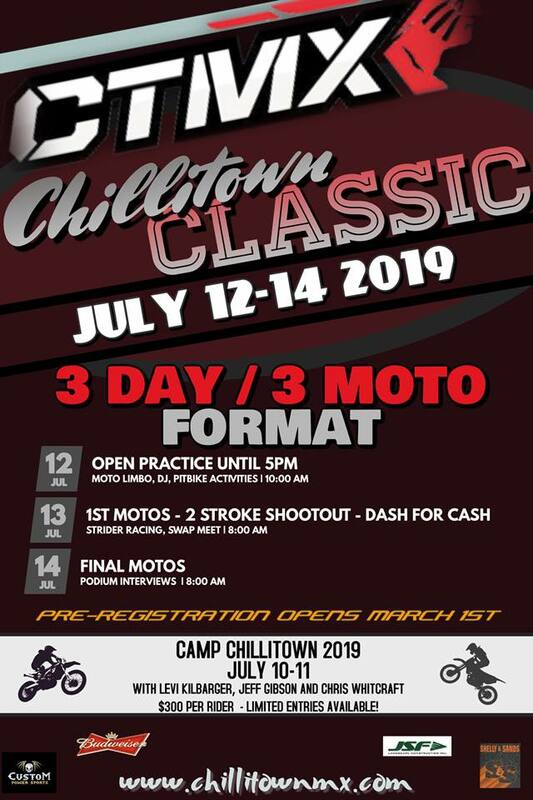 Click on the link below to go directly to the pre-registration page, select you event day, add your classes, admission, camping, etc. and you will be ready to go come April 21-24!!! 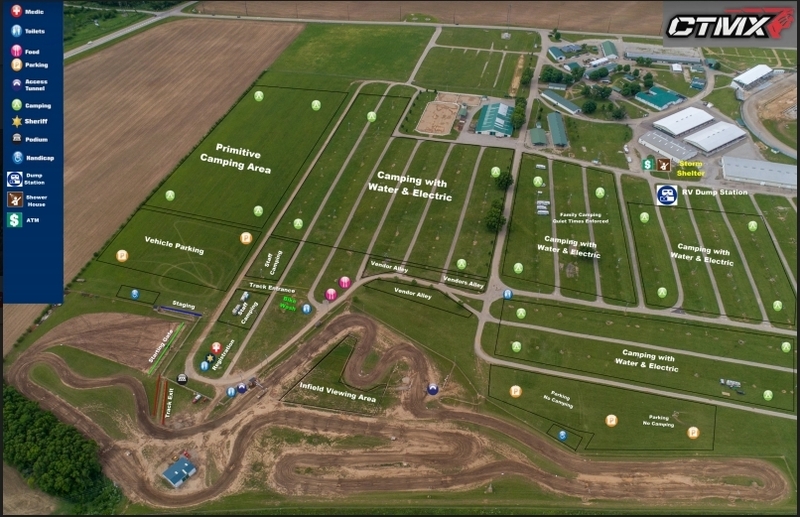 You will recieve your camping and admission passes at the front gate, and then make sure to head back to the PRE-REGISTRATION TENT during the designated times and pick up everything you will need for race weekend!! Pre-Registration will close Monday at midnight!!! Don’t miss your opportunity to get a head start!